This snack is my innovation.. I wanted to make something different and this was the result. Loved the cheesy potato slices served on the bed of deep fried crispy spinach. Tomato puree ... 2 tbsps. Grated cheese ..... 3-4 tbsps. Palak (spinach) ..... 1/2 bunch. 1. Blanch the tomatoes.Make pizza sauce adding salt, red chilli powder, garlic, tomato puree and ketchup. Season with oregano. 2. Peel the potato and cut thin slices. Leave them in the salted water for 10 minutes. Fry them till half done. Drain and set aside. 3. Chop the palak leaves and sprinkle salt over them. Heat the oil well and deep fry them (using a big strainer) until crisp. 4. In a baking tray place the potato slices, spread the pizza sauce and top it with grated cheese. 5. Bake in the pre-heated oven for 8-10 minutes, until the cheese melts. 6. Serve them on a bed of crispy, crunchy spinach. That looks fabulous, mouthwatering cheesy potatoes. wow! !looks yummy! !am drooling here :) Thanks for sharing!! gr8..thats really innovative..liked the step by step pictorial..very helpful..cheesy potato pizza looks delicious...yummie! Thanks Erin...you have a lovely blog space too.I am following it. How are you? Humm from the great recipes that you have posted, I can make out, you had a great Holiday in Brazil. I like this! I never knew the palak can be made crispy..This is a good learning!! I like the Elaichi chicken , very new for me. Must try. I cook a bong Meat dish which uses lot of elaichi and ginger paste, no garlic or onion. The recipe was used for cooking the meat of a sacrificed goat in front of Kali. I feel good that you liked my Sundarban Blog. 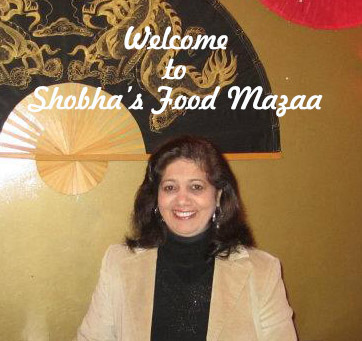 Shobha,these cheesy potato slices are to die for...also very new and look at the ingredients,these are so flavorful and so healthy with so much going on ,this has to be a STAR !!! wow looks so yummy and innovative! First time here. Cheesy potato slices looks mouthwatering !!! Adding spices gives more flavor to it. I liked your lovely space !!! Happy to follow you !!! Mouth watering cheese potatoes.Looks yummy!!! awesome blog...glad to follow you. oh, I just love how you presented this dish...thanks for sharing! That looks super delicious. I can imagine the goodness of potatoes and beautiful melting cheese... Oh, heavenly..! cheesy potatoes with crispy spinach, looks so delish. A treat on its own or to serve as a side dish along with pasta.